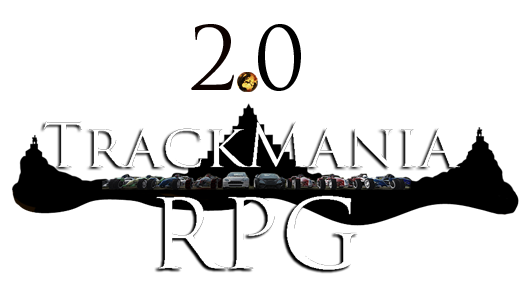 The TitlePack team is proud to announce the release of the RPG TitlePack 2.0! You can reply below if you wanna comment on the new titlepack version or if you have some questions. Last edited by TM2RPG on 06.05.2014, 20:43, edited 4 times in total. 1 question: The new block variations only go up to size 7, but the old ones also have size 8. Is this intentional ? Also i noticed the copper (or well i guess its planet now) cost of my map lowered without changing anything. I want do the same you with me map, How to do it? Save your map as a macroblock (they're fixxed now) and paste it onto a new map. When you open a new map and you have to choose mood you can now choose 8 moods. The regular 4 moods and 4 moods that will give you an empty 64x64 map. Vklf wrote: Save your map as a macroblock (they're fixxed now) and paste it onto a new map. 8 moods? Wow! Not at my PC so i cant check but we can change the mood to the 64x64 map right? vklf, we optimized the rocks a bit...that's why the copper count changed without changing the track. I hope all authors will update their tracks on MX with recalculated lightmaps. This is something we couldn't avoid. Records will still be valid, so not too bad though I guess. The new texture variations only go to scale 7 because their texture is 1/4 the size of the first two variations. So...to keep the textures sharp ingame we decided to not make scale 8 blocks. I will update the first post with some more information later. Attached image showing how CRATER now looks in a 64x64 map. Meanwhile i've written a blog article about all the new features of the new titlepack version, click here! Also, don't forget about the native Mixmapping support in MP3 now which might be helpful sometimes (has to be activated in the advanced editor settings). Grid snap is completely disabled now. The binding for pivots has been changed to "Q" or "," on the numpad. Well, my biggest question is can we transform a non 64 map into a 64 map?